On March 25, H.E. 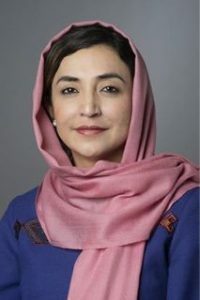 Ambassador Saikal, Permanent Representative of I.R. 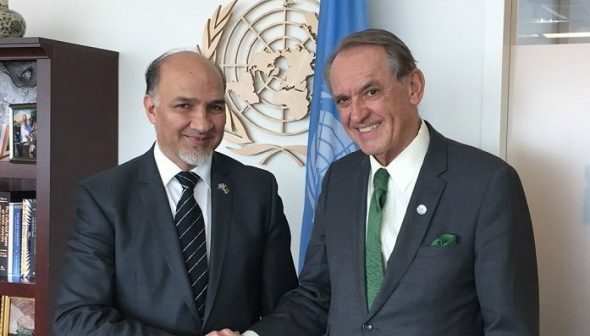 of Afghanistan met with United Nations Deputy Secretary-General Mr. Jan Eliasson. They had a productive discussion on the security, political, and economic situation of Afghanistan. 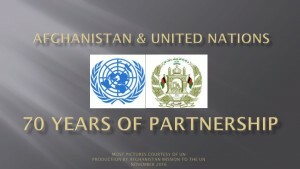 Key areas of discussion included security challenges in the fight against terrorism, the peace process, regional dynamics, improving defense and security capabilities of Afghanistan, political stability, national unity government, electoral reform, fiscal deficit, poverty reduction, and employment issues. 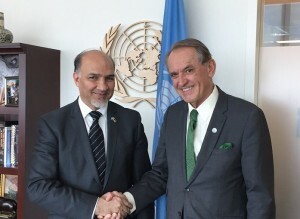 Mr. Eliasson assured that the United Nations will remain a steadfast supporter of the people of Afghanistan.